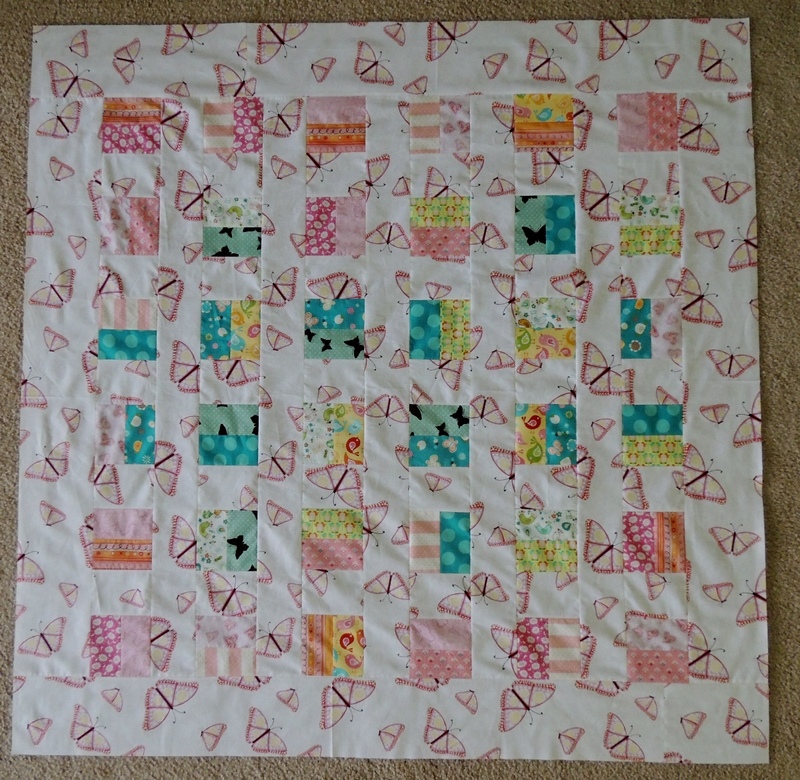 Baby quilts are so fun to put together. It is also a real treat to be able to go fabric shopping with the expectant mothers – there are so many wonderful fabrics to choose from! 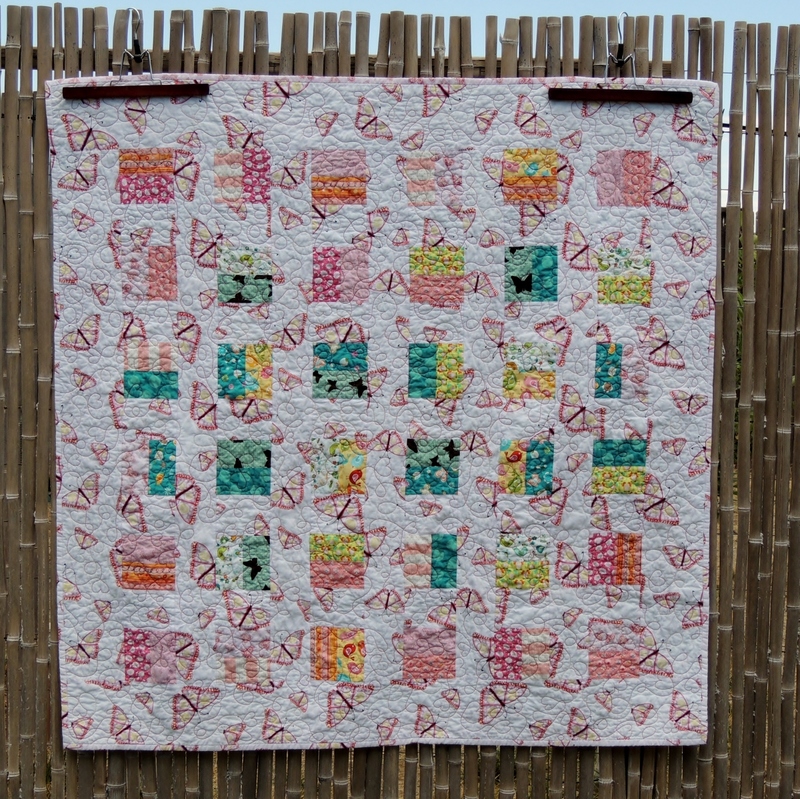 It quickly became obvious that the large butterfly print was going to be the major focal point for this quilt. Finding other butterfly fabrics and coordinating colors was simple after the first decision. 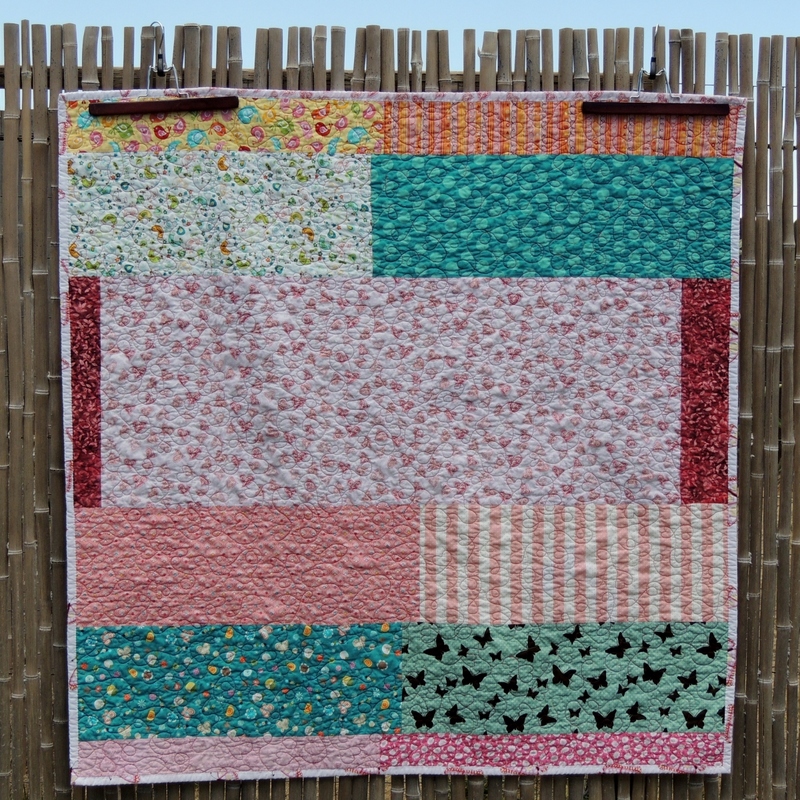 Due to the large size of the butterfly print, I wanted a wide stripped border to show it off, and I chose a fairly simple block pattern that can be turned into a matching game for the other fabrics. The back also really gives the coordinating fabrics a place to shine. 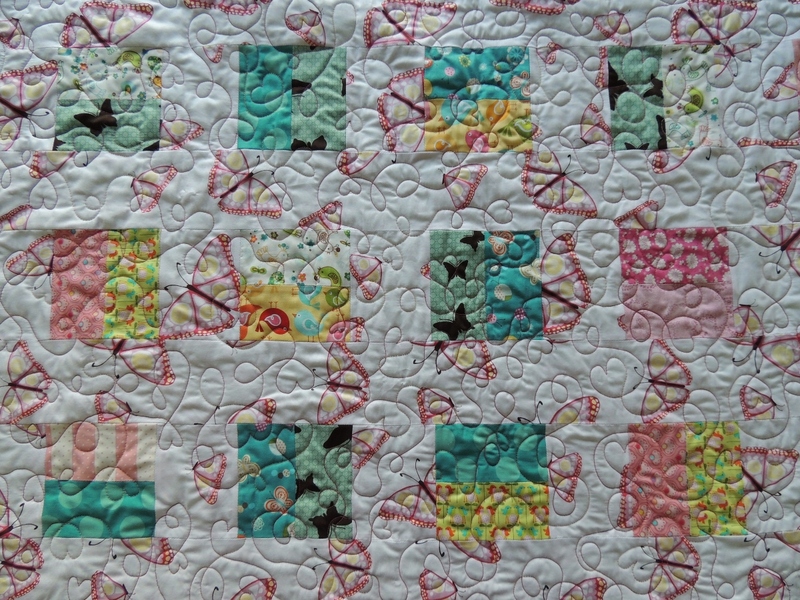 When I was quilting, I tried to mimic the erratic behavior of the flight path of a butterfly. This butterfly also happens to also be fond of loop-de-loops that form hearts. 🙂 I am definitely becoming more confident with free motion quilting and I am already looking forward to my next quilt project!